This sphere is made using a geometric form called icosadodecahedron. A combination of pentagram and equilateral triangle. The surface design grid is translated from a pattern used in the world of Temari. It is 7” in diameter. 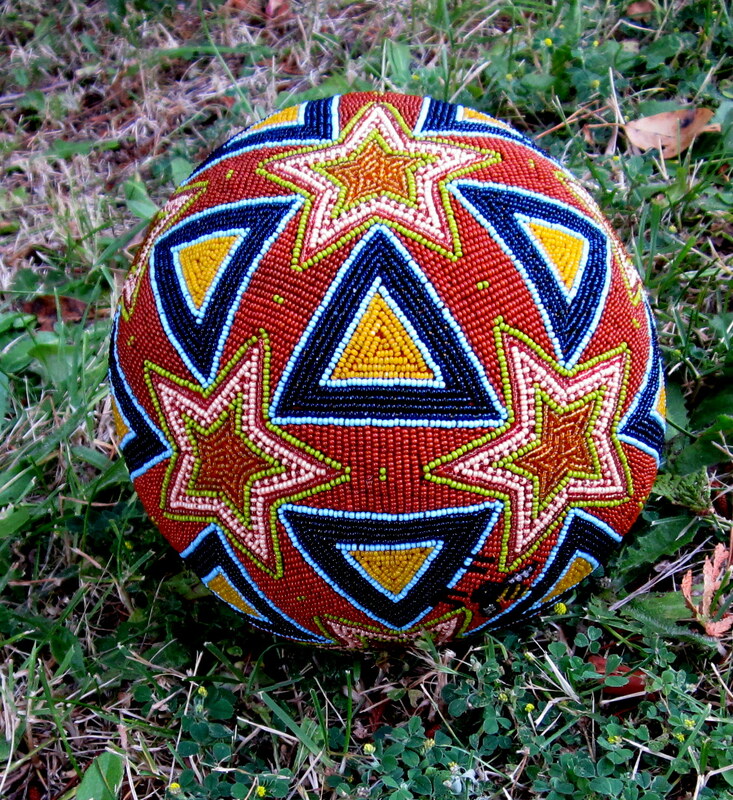 Hand made form and beaded directly into the surface.